It's not often my town hold events that interest me but a student shopping night seemed right up my street. The mall opened it's doors to students at 6pm and pretty much all the stores inside were offering lots of discount, deals and freebies. To add to the mood, there was a DJ in Bank, some stilt walking Na'vis and two ladies dressed as tables...yes you read that right. Admittedly, my purse was still suffering from previous hauls so I didn't go too wild on the shopping front, but all in all I had a great night. 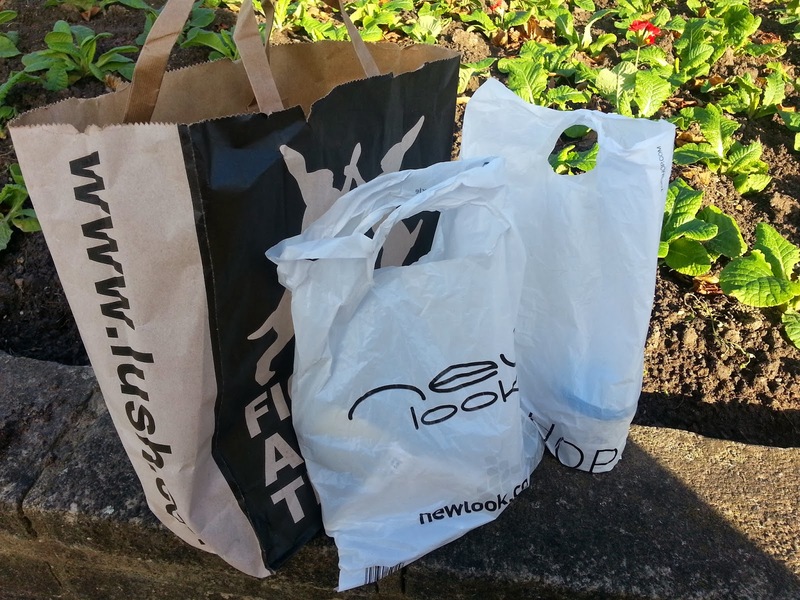 In the end I hit up Lush, New Look, Topshop and Boots, in true beauty blogger fashion. 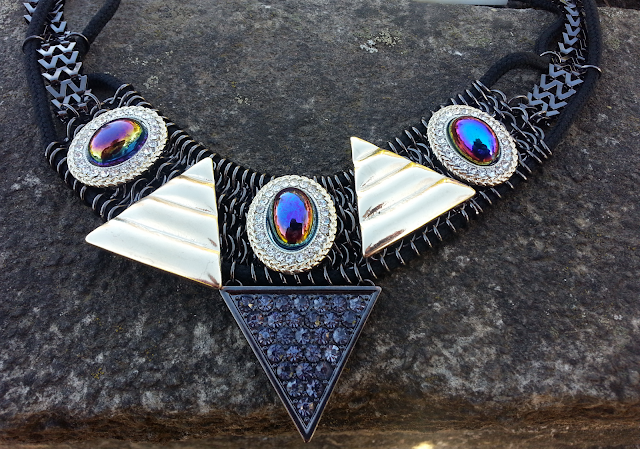 I picked out a beautiful necklace from New Look - I thought it looked Egyptian and that suited me just fine. I then picked up some Barry M glitter nail paints (Amethyst and Aqua) which of course were from Boots. 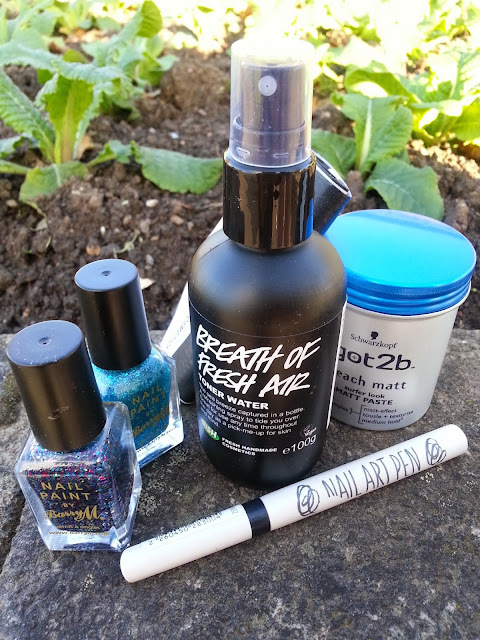 The nail art pen is from Topshop and I also picked up some Carmex but it's been lost in the depths of my handbag! I won the got2b beach matt hair paste which I'm excited to try out. I have quite dry hair so I've never thought about using a mattifying product on it, but now I have no excuse not to. In the spirit of trying new things I also picked up some toner water from Lush. My skincare routine is pretty non-existent so this should be a good incentive to create one. I also got a free face mask sample so hopefully my skin should be radiant in no time. 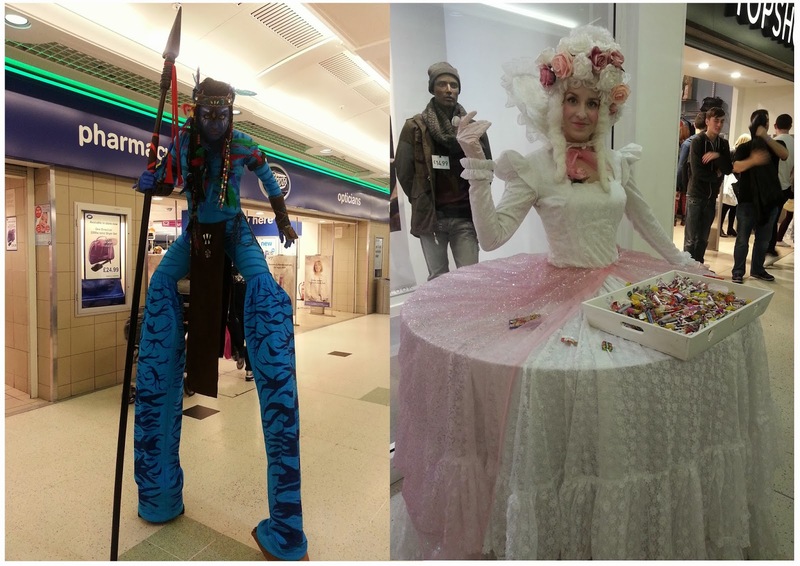 The Student Shopping Night was held in a few other venues across the UK so let me know if you attended one.